Parry Mitchell, Jewish member of Britain's House of Lords, says he'll resign if Jeremy Corbyn is re-elected Labour Party leader. 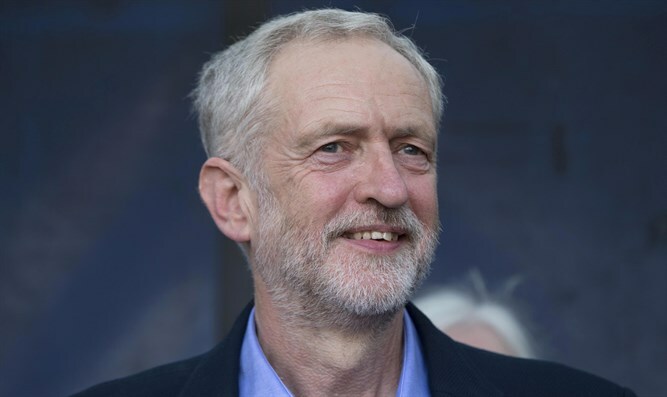 Parry Mitchell, a Jewish member of Britain's House of Lords, is threatening to resign if Jeremy Corbyn is re-elected as Labour Party leader, JTA reported Tuesday. Mitchell, writing in The Times of London, said a recent report which found that anti-Semitism is not endemic in Britain's Labour Party was an "insipid whitewash" and vowed to leave the party if Corbyn retains his post in a September leadership contest. “Anti-Semitism has no part in a progressive party. I have come to the painful conclusion that were Mr. Corbyn to be re-elected next month, I will have to resign my membership of the Labour Party," he wrote. The report, prepared by Labour member Shami Chakrabarti in the wake of several anti-Israel statements by Labour lawmakers, found that while there is “occasionally toxic atmosphere” against Jews in Labour, anti-Semitism is not prevalent in the party’s ranks. The report was harshly criticized by British Jews. In recent months, the Labour Party has been forced to suspend dozens of members over anti-Semitic and anti-Israel comments. He was recently accused by Jewish community representatives as well as senior Labour members and backers of generating an atmosphere that encouraged expressions of anti-Semitism due to his comments. The Labour leader has disputed this, although last month he also said he regrets calling Hezbollah and Hamas his "friends."